I love September. Even though it has been years since I was in a position to be going back to school and my children have also finished their formal education at least for now, I still feel full of anticipation of what the fall will bring. I feel compelled to clean my house and office and organize my closet so that I AM READY for the learning and activities that I always associate with September. Bursting with “September-is-almost-here-enthusiasm”, I renewed my efforts to catch up on my inbox. I came across an email from our regulatory college here in Alberta, reminding me that I was due to complete the Jurisprudence Learning Module to retain my license to practice. I will confess that the message had been sitting in my inbox since May, but last Thursday, primed by my “September learning fever”, I sat down to tackle the module. I could tell right away that whomever had crafted the module, had put a lot of thought into it. The questions were trickier than I remember, and I found that I was intrigued by, and appreciative of, the links to the handbooks, legislative materials and background materials to support the learning. 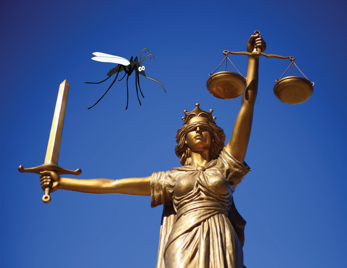 While I consider that I have a pretty good sense of jurisprudence relative to dietetic practice, I enjoyed taking a deeper dive into the topic and I learned a few things that had previously been murky. This experience of really taking some time to read, learn and think about jurisprudence, made me reflect on another project I tasked myself with last week. It was a big complicated issue with a tight deadline. I spoke with a couple of people well informed on the topic with the hope that they could tell me what I needed to do – they couldn’t; I skimmed a few articles and then set about to develop a plan. Very quickly, I realized this topic was much too emotional and the evidence too uncertain for my quick and somewhat superficial approach. I needed to honour the complexity of the topic with some time and effort rather than give it a quick overview. We’re likely all familiar with the Slow Food movement, I think I needed to embark on a little “Slow Learning” – to slow down and really think about my “issue”; take some time to do some serious reading about it from a couple of different perspectives; reflect; talk with some people familiar with the issue; read some more; reflect some more and then develop my plan. With all the sound bites of information we are exposed to, we can fool ourselves into thinking we have enough information to act. A PEN user recently shared that she values the tweets and Facebook posts that PEN prepares but doesn’t often have time to go into PEN and really examine the practice questions, key practice points, rationale statements and recommendations. YIKES! A colleague recommended Seth Godin’s blog to me and I look forward to finding his daily wisdom in my inbox. Today’s post, in three lines, cleverly captured what I’ve been feeling about how to stay well informed amidst the social media storm of information. “Teaching complicated ideas to people on a phone is like trying to teach geography to a bunch of sugared-up kids who just had a triple espresso, while they are standing on one foot being bitten by a swarm of mosquitos. Have you see the latest Trending Topic on Plant-based beverages and infants? You can view it here by scrolling down the page. What are the recommendations for the use of plant-based beverages (e.g. soy, rice, almond, coconut and oat milk/beverage) during the complementary feeding period in infants? Trending Topic: Plant-based Beverages – Are They Really Healthier for Young Children? PEN® Editor’s Pick #2: Branched Chain Amino Acids and Children with Chronic Liver Disease – To Supplement or Not to Supplement? Are there any benefits in supplementing with branched chain amino acids (BCAA) for children with chronic liver disease? To find out, see this new Practice Question. Find out what content is coming soon or submit a content idea for future consideration. PEN® Editor’s Pick #4: Are palm oil and coconut oil heart-friendly? What effect do tropical oils have on blood lipids? To find out, see this updated Practice Question. Are B-vitamin supplements (e.g. niacin, vitamin B6, folic acid and vitamin B12) beneficial in preventing or treating cardiovascular disease (CVD)? Are antioxidant supplements (e.g. vitamin C, vitamin E, beta-carotene, selenium, zinc) recommended for prevention or treatment of cardiovascular disease (CVD)? Sign up for Content Alerts to find out what’s new and updated in PEN. Click on the three links below to see MORE of the new and updated content, tools and resources and the latest Trending Topics in the PEN® System. Look for the new and updated symbols in PEN® System to see more new and enhanced content! Not a PEN subscriber yet? Sign up for a free 24-hour trial to see what else you are missing out on. 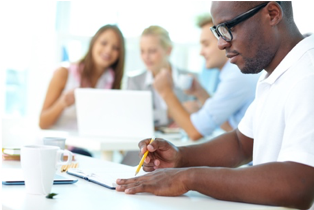 Are you a professor or a student going back to school after a summer break, starting a spring semester or enrolled in a post graduate degree? Are you an internship preceptor or a student entering into a dietetic internship? No matter where you are in the world or what you are doing in terms of education, we hope that PEN® will be your go-to resources for evidence-based nutrition. “These online learning resources have been developed to support the process of evidence-informed public health. Each module relates to at least one step in the process. You all met Vanessa in our June 2017 issue of PEN eNews: Wowsers – Now I’m a PEN International Evidence Analyst. Over the summer, Vanessa let us know she was resigning as a PEN Evidence Analyst to take on work with another global initiative. In her resignation letter she gave special acknowledgement to her mentors Judy Bauer and Dawna Royall who were “instrumental in helping me expand my knowledge and skills in evidence-based processes”. I’ll personally miss receiving Vanessa’s cheery notes that accompanied her monthly activity logs where she documented the many contributions to PEN content that she was working on (Eg. pediatric constipation, osteoarthritis, eating disorders, lactose intolerance). As Vanessa became skilled in the GRADE approach to evidence synthesis, she became a mentor to others. The PEN Team thanks Vanessa for her excellent contributions to the PEN database and wishes her the very best. It’s been several months since Emily Sunderland joined the PEN team as DAA’s PEN administrative person in the critically important international review process. Emily seeks out reviewers from DAA, DNZ and ADSA for updated and new PEN content and then monitors the review process until the content is submitted. Thanks Emily and keep those reviews coming! Hi, I’m Eleanor and started working at the BDA in March. I previously worked in a split role which was part-time diabetes and part-time bariatrics. Since starting at the BDA, I’ve been supporting member involvements with NICE guidelines and PEN reviews. I’m currently in the process of setting up a NICE/PEN network of specialists who are interested in research and reviewing nutritional content. I’m also supporting the association to help establish outcomes within dietetic practice. One of my more creative tasks involves creating the monthly research ezine which goes out to all our members and highlights PEN Editor’s picks and trending topics! Working with PEN has highlighted to me just how passionate the PEN team are. They have made me feel extremely welcome and supported me with getting to know more about PEN. I’ve been surprised at just how much content is on PEN and how practical this can be – background information for a quick reference for an unfamiliar topic right through to practice guidance toolkits with information on the whole model and care process. I’m looking forward to supporting PEN further in the future. Welcome to Natalie, Emily and Eleanor! Recently, Camila Oliveira and Drs. Carla Prado and Isabelle Dionne were selected as recipients of the Applied Physiology, Nutrition and Metabolism Award for Nutrition Translation. 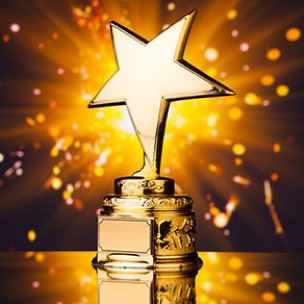 This award was established by the Canadian Nutrition Society/ Société canadienne de nutrition (CNS-SCN), in conjunction with the editorial staff of the journal of Applied Physiology, Nutrition and Metabolism (APNM), in an effort to recognize excellence in the translation of nutritional knowledge. The theme established for 2017 was “Nutrition and Physical Activity for Healthy Aging”. Submissions were rated based on the topic area and relevance; manuscript outline; statement of novelty, anticipated impact, timeliness of the review; and evidence of author expertise in the topic area. The award manuscript titled “Are Canadian Protein and Physical Activity Guidelines Optimal for the Prevention of Sarcopenia in Older Adults?" was recently published in the journal of APNM (https://doi.org/10.1139/apnm-2018-0141). Sarcopenia is a condition characterized by the loss of muscle mass and strength observed with aging and is associated with loss of physical disability, falls, fractures, frailty, poor quality of life, and increased health care costs. In the manuscript, the authors discuss that sedentary lifestyle, poor dietary patterns and increased life expectancy will dramatically impact the prevalence of this condition in the next decade. The International Classification of Diseases (ICD) recently recognized sarcopenia as a disease, giving it an ICD-10-CM code (M62.84). This fact highlights the importance of this condition, which has been somewhat less investigated in Canada compared to other countries. Although sarcopenia is a multifactorial syndrome, increased consumption of dietary protein and adequate physical activity levels, especially resistance exercise, can counteract the trajectory of this condition. Canadian guidelines for protein intake and physical activity were last updated in 2005 and 2011, respectively, and new evidence on sarcopenia diagnosis, prevention and treatment is rapidly evolving. Therefore, current guidelines do not reflect recent knowledge on sarcopenia prevention. Protein recommendations are set as “one-size-fits-all” for both young and older adults. Recent evidence demonstrates that current recommendations are insufficient to meet the minimum protein requirement to counteract muscle loss and to stimulate muscle growth in healthy older adults. Beyond quantity, protein quality is also essential to benefit muscle anabolism. The ability of protein sources to influence muscle growth depends mainly on its essential amino acids’ content, especially leucine. These amino acids are building blocks of protein that must be supplied by the diet. Therefore, guidelines should consider not only how much protein older adults need to eat, but also which protein source this population group should choose. 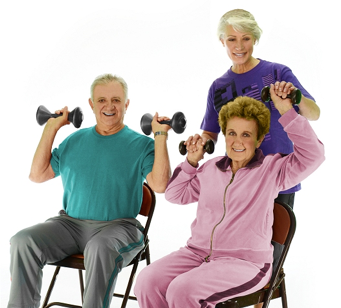 In terms of physical activity, resistance exercise training is a potential strategy to counteract age-related effects as it can elicit muscle growth in addition to increases in muscle strength and function in older adults. Canadian physical activity guidelines should be revised to include details on how this modality of training should be performed. The gap between current guidelines and the latest evidence on the maintenance and promotion of older adult’s health highlight the need for updated protein and physical activity recommendations. Camila Oliveira, MSc, is a PhD Candidate in Nutrition and Metabolism at the University of Alberta under Dr. Carla Prado supervision. Her research project focuses on the physiological effects of high-protein diets in individuals with normal and excessive body weight. Dr. Carla Prado, PhD, RD, is an Associate Professor, a Campus Alberta Innovate Chair in Nutrition, Food and Health and a CIHR New Investigator. Dr. Prado is an expert in body composition research and a member of the Body Composition Clinical Guidelines team for the American Society for Parenteral & Enteral Nutrition. Dr. Isabelle Dionne, PhD, is the first chair holder of the Canada’s Research Chair on Exercise Recommendations for Healthy Aging. Dr. Dionne has extensive experience with sarcopenia research and its biological, physiological and clinical causes. She is one of the investigators of the Nutrition as a Determinant of Successful Aging (NuAge) study conducted in Quebec. Congratulations Camilla, Carla and Isabelle! We look forward to incorporating your practice questions related to sarcopenia into the PEN System. The PEN® Team is always looking for ways to make PEN better and more useful for PEN users. We recently made changes to the Key Practice Point (KPP) part of the Practice Questions (PQ). We will be using a new KPP format going forward. Instead of having Evidence Synthesis and Practice Guidance sections, there will now be Recommendation, Evidence Summary and an optional Remarks sections. We believe that this change will better meet the needs of our users by providing the bottom line first, a brief description of the evidence and then remarks, as needed, to provide context. The remaining sections of the PQ (Evidence Statements, Comments, Rationale, References) will stay the same. What effect do tropical oils (palm oil and coconut oil) have on blood lipids? Click here. Do infants aged six to 12 months who are introduced to solids using the baby-led weaning (BLW) technique (i.e. infants self-fed with finger food) compared to infants who are introduced to solids using the traditional spoon-fed (TSF) method (with gradual texture progression) have any differences in growth and/or developmental patterns? Click here. At present, there are still KPPs in the older format, but as this content is updated, the KPPs will be switched to this newer format. This change was made based on user feedback and, as always, we welcome your comments, questions and suggestions! Raising Our Healthy Kids is a series of short and snappy 1-2 minute videos providing information to parents and care providers on healthy growth and development of children up to 12 years of age. The videos provide information on general nutrition, active play, healthy growth and development including positive body image and understanding how marketing affects choices and food intake. email them to your clients. There are 70 videos in total on a variety of healthy living topics. 26 videos are specifically related to nutrition, with 25 of these translated into French. The videos were created by health professionals, are evidence-based and national in scope. What topic areas do the videos cover? As a professional, do I need permission to use and distribute the videos? 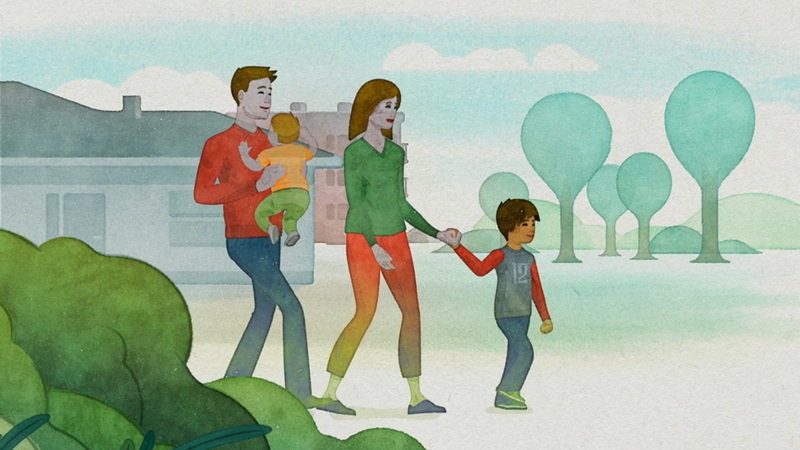 You are free to use these videos in any way you can to help families’ live healthier lives. They are free from branding and bias. You do not need to ask permission to use them, nor do you need to write any form of acknowledgement. The videos were created to be used to help families with children with the ‘red tape’ removed for easy use and dissemination. The content of the videos is national in scope and is consistent with messages from Health Canada, Public Health Agency of Canada, Alberta Health Services, and nutrition messages are consistent with PEN: Practice-based Evidence in Nutrition®. The videos were developed by a multi-stakeholder group including Dietitians of Canada and Alberta Health Services and with input from a pediatrician and community stakeholders across Canada. Funding was provided by Government of Alberta, Calgary Health Trust, and Canadian Institutes of Health Research, and the videos were produced by Shadow Light Productions. Financial support for French translations was provided by EatRight Ontario. The PEN team is very appreciative of four students/new graduates who stepped up to assist us in a variety of ways this summer. Incorporating new clinical practice guidelines on diabetes, updating handouts, preparing background documents, gathering statistics to inform our strategies are just some of the tasks they accomplished for us. Alison Bennett, Roselle Yuen, Sahar Qassem, Cristina Benea - thank you for giving back to the profession. The PEN Team extends best wishes to each of you as you pursue your careers in dietetics. Still looking for feedback! PEN® eNews is turning 7 – tell us what type of articles work for you! Throughout the past seven years, one thing is certain: the PEN® Global team is always looking for ways to improve what we do and how we do it and this includes PEN eNews. Times have changed since our first issue was published in June 2011 and we’re wondering if it’s time for PEN® eNews to change too. Does the format need to be tweaked? Should the frequency change? Are the issues too long? Are we missing critical content area? Should we convert PEN® eNews to a blog? Have your say! Please complete our short survey to help us make PEN eNews even better. The PEN® System has a vast collection of knowledge pathways covering the nutrition care process of many clinical conditions and their nutritional management. Fourteen of the 197 knowledge pathways in PEN are diabetes-specific and are currently in the process of being updated to reflect the newly released UK and Canadian diabetes clinical practice guidelines, with help from contributors from Australia, Canada and the UK. While these knowledge pathways are being updated, Dietitians of Canada and the British Dietetic Association are collaboratively condensing various parts of the UK and Canadian updated diabetes guidelines for you, and in true PEN® style, translating the evidence into practical advice. These joint submissions are/will be featured in past, current and future PEN® eNews issues. The last article focused on type 2 diabetes, remission and obesity. This issue will focus on diabetes prevention. Diabetes prevention is of great interest to individuals at risk of developing diabetes, health care providers and researchers. Diabetes (type 1 and 2) caused 1.6 million deaths worldwide in 2015 (1). It is estimated that currently almost 1 million people in the U.K. are unknowingly living with diabetes, as they have not yet been diagnosed (2). In Canada, it is estimated that 11 million people are living with diabetes or pre-diabetes (3). The challenges for individuals with diabetes and the health care system that supports them are huge, making prevention critical. In the past, type 2 diabetes may have been viewed by some as part of the aging process; however, the Diabetes Prevention Programme (DPP) highlighted that this was not the case (4). The DPP was the first of its type to show that lifestyle changes or metformin could effectively reduce the risk of developing type 2 diabetes in adults at high risk compared to a placebo. The lifestyle intervention reduced the risk of diabetes by 58% and metformin by 31% compared with the placebo. Eating habits are an essential part of lifestyle. There are few RCTs measuring the effect of specific eating patterns/specific foods on the risk of developing diabetes – this is largely due to the logistical difficulties in randomizing people to a specific diet until they do/do not develop diabetes. For this reason, the majority of the research in this area is prospective cohort studies. The risk of diabetes is seven times greater in obese people compared to those with a healthy BMI (6). There is also an increased risk of developing diabetes at a younger age and lower BMI in South Asian and Chinese populations (7). Weight loss of at least 5% (where appropriate) is recommended to reduce the risk of type 2 diabetes in high risk groups. There is no specific diet recommended to promote this weight loss, the important aspects are making sure a patient-centred approach is used and that it is sustainable for the individual. Culturally tailored, multi-component lifestyle interventions are recommended to reduce the risk in ethnic minorities. A reduced risk has been found with several dietary patterns (Mediterranean, DASH, Nordic and vegetarian, but not pescovegetarian) (5). 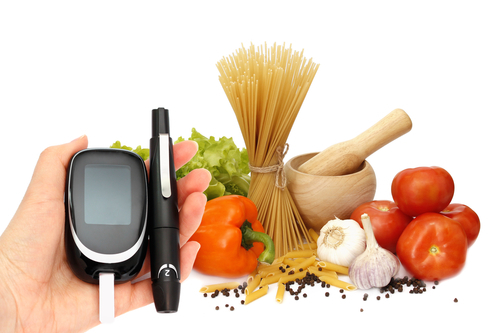 It is important to consider how likely it is that an individual with diabetes will be able to achieve/adhere to the dietary pattern. minimizing the amount of time sitting. A structured program of healthy behaviour interventions including moderate weight loss and regular physical activity for those with prediabetes is recommended. The Mediterranean style, DASH and AHEI (Alternate Healthy Eating Index) dietary patterns are recommended for individuals at risk of type 2 diabetes as a risk reduction strategy. Recognizing the important role that increased levels of physical activity can play in diabetes risk reduction, Canadian clinical practice guidelines for individuals with pre-diabetes recommend a minimum of 150 minutes/week of physical activity accumulated over five days a week. While increased health benefits can be achieved with physical activity even beyond this minimum level, it is a recommendation with a strong evidence base of efficacy in diabetes risk reduction. While ongoing studies and advancing medical procedures continue to offer new insights into the future of prevention and remission of diabetes, dietitians can remain engaged in ongoing efforts with individual clients and at a community level to create healthier places where people live, learn, work and play. DAA, together with our neighbours in the Asia Pacific Region, will come together and celebrate our profession for Dietitians Day, on Wednesday 19 September 2018. This year we have a particular focus on acknowledging individual achievements and how these help to inspire others, with an ultimate goal of achieving better health for all communities – whether that be in Australia or abroad. 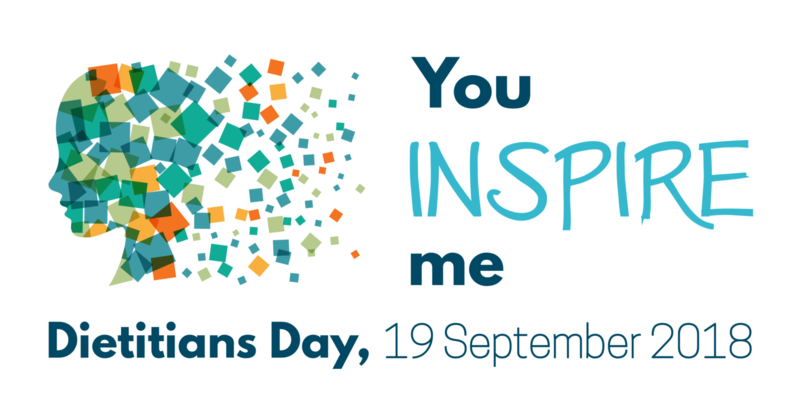 Our theme is ‘You inspire me’ and we’re encouraging members to acknowledge their fellow dietitians, either through social media or via an e-card.